sooooo cute. disney princesses look like there in middleschool. Wallpaper and background images in the little disney princesses club. 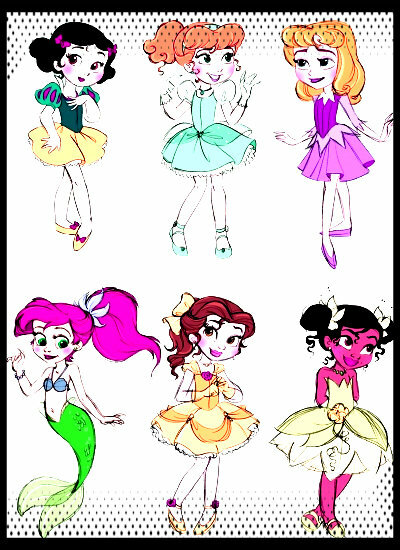 This little disney princesses fan art might contain animado, cómic, manga, historieta, anime, and dibujos animados.